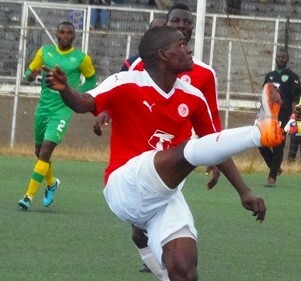 Malawi super league giants, Big Bullets FC central defender Bashir Maunde over the weekend played his first game in 2 months against Kamuzu Barracks after being sidelined due to illness. He missed 9 league matches while he was sidelined but yesterday came off the bench in the second half to replace experienced midfielder James Chilapondwa in the 58th minute. The former Tigers defender who was suffering from an eye problem made some impact in the game as Bullets beat the Lilongwe based soldiers 2-0 courtesy of second half goals from Chikondi Likwemba and Japhali Chande. The win has taken the people’s team to 54 points from 23 games and 14 points ahead of second placed Mafco fc. During the game Chiukepo Msowoya was forced to go out after sustaining an injury. He has joined goalkeepers, Owen Chaima and Vincent Gona who are also out due to injuries. With the loss, KB trekked back to the capital city empty handed having also lost on Saturday to bottom placed Fisd Wizards. Meanwhile, Bullets just need a point from their game against Azam Tigers to retain the Super League ttle. Welcome back our Heroe we Palestines Love U!!!!! Welcome back munthu wankulu, owez b proud of u.
kkkkkk ndiye chisulo chinamulasa diso chija anachichosa!!!?. #Bashir, aonetse! Coz akomoka iweyo ungomalizitsa tisawaonenso. What z de meaning of kumwendah? ndie bolanso Bashr anthu akumpoto m,makonda kunyoza anthu akumwera why? kodi mayina awa Bashir angakhale osewera mpira?? ku Sudan nd Syria mayina ngati ndizilombo kupha anthu..